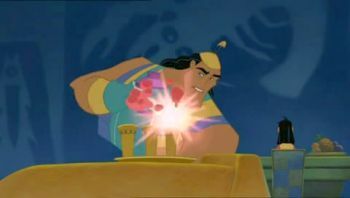 KRONK: The poison chosen especially to kill Kuzco. Kuzco's poison. That poison? YZMA: Yes! That poison. KRONK: Got you covered. YZMA: Excellent. A few drops in his drink, and then I'll propose a toast and he will be dead before dessert. KRONK: Which is a real shame, because it's gonna be delicious. 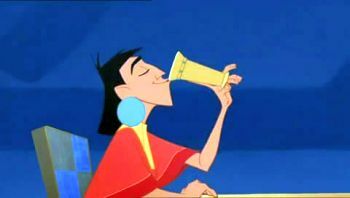 EMPEROR KUZCO: Boom, bam, baby! Let's get to the grub. I am one hungry king of the world. So, no hard feelings about being let go? YZMA: None whatsoever. Kronk, get the emperor a drink. 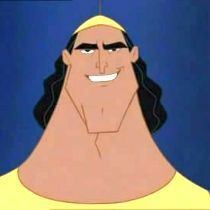 KRONK: Drink. Right. Your Highness. EMPEROR KUZCO: Is something burning? KRONK: My spinach puffs! EMPEROR KUZCO: So, he seems nice. YZMA: He is. EMPEROR KUZCO: He's what, in his late twenties? YZMA: I'm not sure. KRONK: Saved 'em! 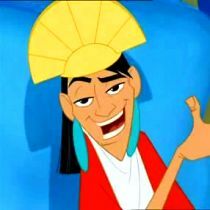 EMPEROR KUZCO: That's great. Good job. 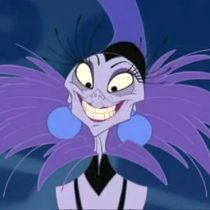 YZMA: Great! Very good job. KRONK: Watch it. They're still hot. 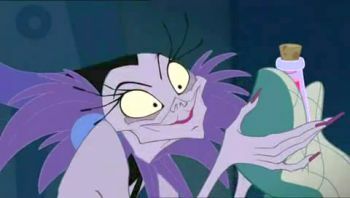 YZMA: Kronk. The emperor needs his drink. KRONK: Right. Oh. Right. EMPEROR KUZCO: Hey, Kronky, everything okay back there? KRONK: Well, the drinks were a bit on the warm side. Hey, did you see that sky today? Talk about blue. YZMA: Yes, Kronk. Riveting. A toast to the emperor! Long live Kuzco! KRONK: Don't drink the wine. Poison. EMPEROR KUZCO: Ah! Tasty. NOTE: To watch the pictures in hight resolution, click on them.